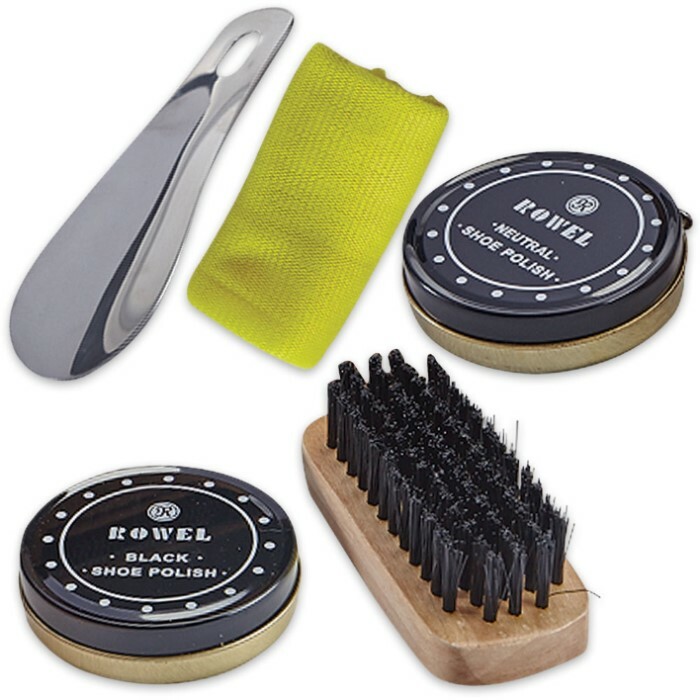 Keep your boots in tiptop shape with our five-piece Members Only Shoeshine Kit. You can tell a lot about a man by the condition of his shoes! 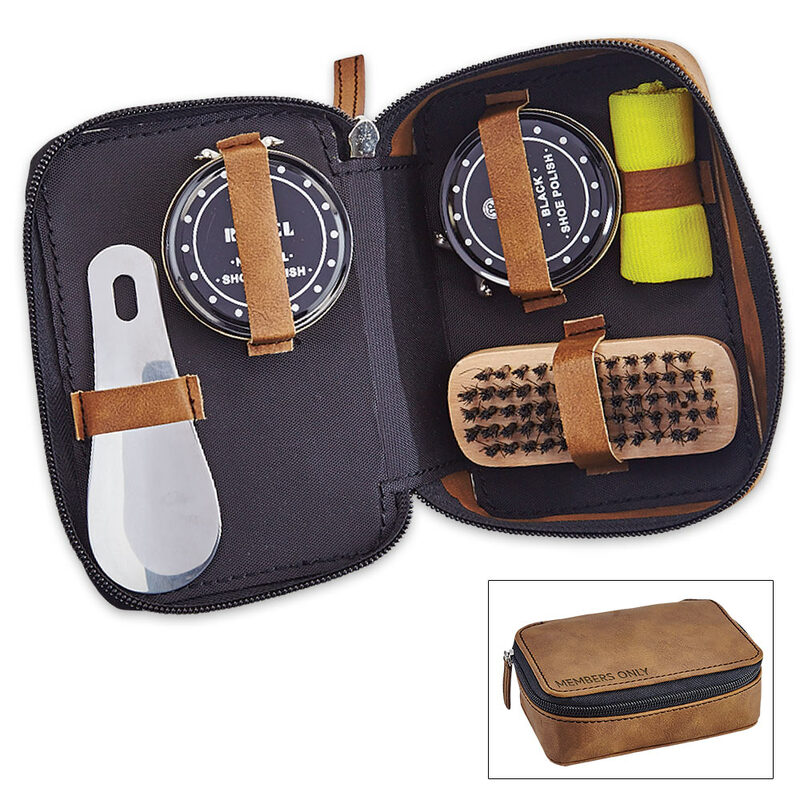 Your shoes will stay perfectly polished with the included black shoe polish, neutral shoe polish, shoehorn, brush and polishing cloth, all within the stylish vegan leather case.